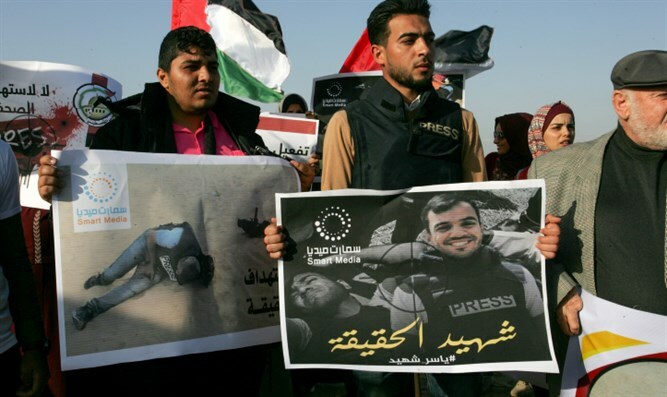 Security officials say man killed during Gaza border riots was a senior figure in Hamas terror group - not a journalist. In 2015, Murtaja sought to bring a drone into the Hamas-ruled Gaza Strip, with the goal of gathering information for the terror organization. Murtaja maintained ties with Hamas over the years, and large numbers of Hamas members participated in his funeral on Saturday. Following Murtaja’s death, Defense Minister Avigdor Liberman (Yisrael Beytenu) blamed the Hamas terror group for his death, saying he had been killed while operating a drone on behalf of the organization. Since March 30th, rioters have clashed with IDF forces on the Israel-Gaza frontier and attempted to scale Israel’s security fence. The protests kicked off six weeks of violent demonstrations on the border, featuring firebomb attacks and the throwing of burning tires. 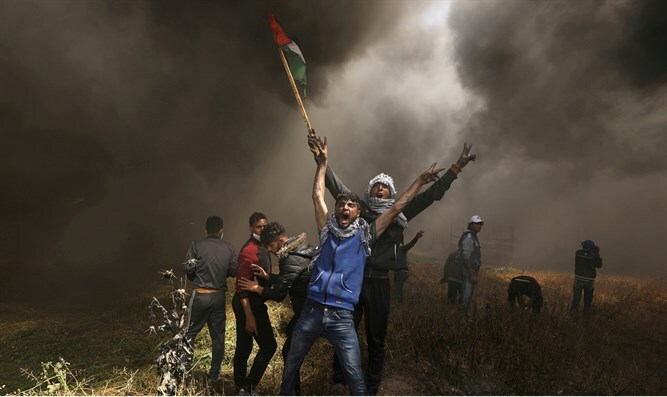 The riots are slated to continue until May 15th, the day after Israel’s 70th Independence Day and the opening of the new US embassy in Jerusalem. Roughly 30 Gazans have been killed since the riots began, and thousands more injured. Twelve of the fatalities have been identified by Israeli forces as Hamas terrorists, not including Murtaja.